There is a rapid growth that is causing employees and many students to consider a career in the project management field. Infrastructure development, healthcare, and green technologies are now in 2016 referred as some of the fastest growing opportunity for everyone to fill in for their job. Project management has now emerged as one of the most influential professions. 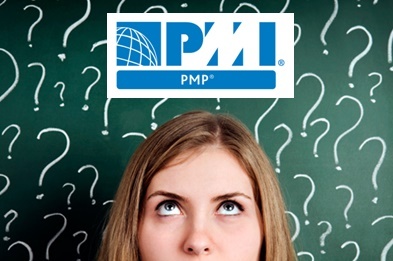 PMP Certification is sanctioned by the Project Management Institute. For most of the roles this certification is actually not needed but it is very beneficial if you have one because it reflects your technical skills, your clients will trust your every word and so will your employers, and you also can get higher payment or promotion to higher rank. PMP-certified managers have assets of more than 20% over non-certified counterpart. This is certificate is globally recognized as only project managers. Additional requirements like you must engage in 35 contact hours of project management training. Training in college, school, an employer program, a community, etc. can satisfy the need. From where do you begin? Now, if you are eligible, then it is the time for preparation for the exam. You to have enrolled in a format, PMI-approved project management training course. Pass rate for the PMP exam is roughly 65%, so you have to be sure that you are well ahead of your scheduled time and you are taking the test preparation process seriously. The PMBOK – Project Management Body of Knowledge will help to navigate through everything. A PMP-certified manager must complete 60 PDUs every 3 years. Professional Development Units (PDUs) are credits which maintain a project manager’s certification after successful completion of the PMP examination. There are countless ways to acquire pre-exam contact hours through independent and PMI-certified activities. That is why it is important to keep a record of this supplemental instruction, because you have to report to the PMI or in any other event. The Project Management Professional certification is becoming widely popular rapidly in recent years. Now it is widely accepted, implemented and a required certification even for some companies in the project management. The PMP certification is the perfect choice for anyone who is dreaming of the project management degree on his name as the manager of a company who keeps record of everything. Under whom employees will be working and getting paid a lot of cash. The increase of marketability to employers, reputation with clients seeking growth every year. Skillogic Knowledge Solutions is providing classroom training and online training for PMP certification course in India. Classroom training available at Bangalore, Chennai, Hyderabad, Mumbai and Delhi. If you wants to clear PMP exam in first attempt sing-up with Skillogic training.